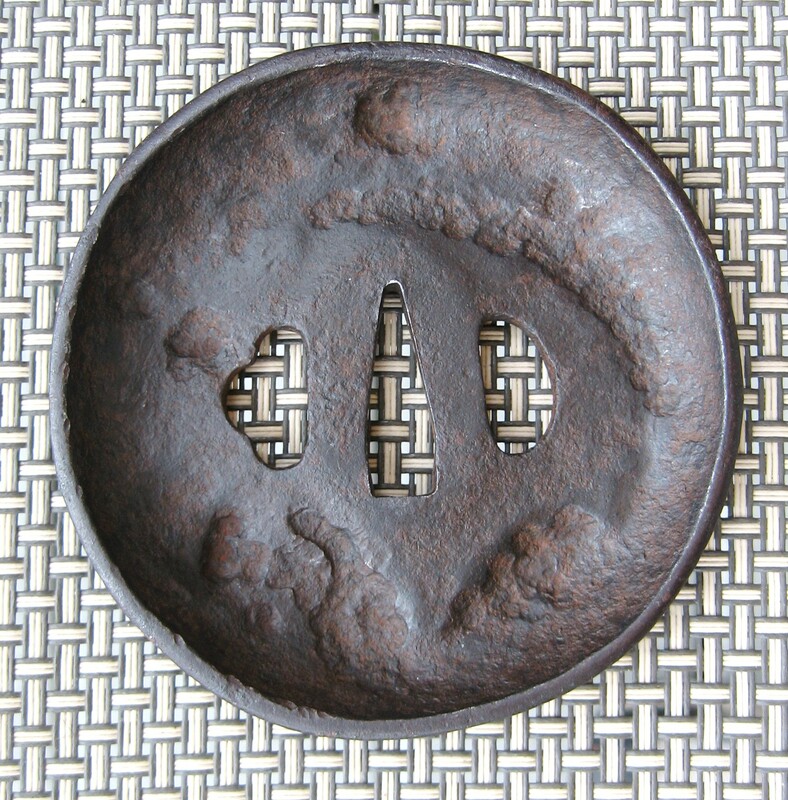 "A true SHOAMI iron tsuba (ca. 1600) of convex thick metal. 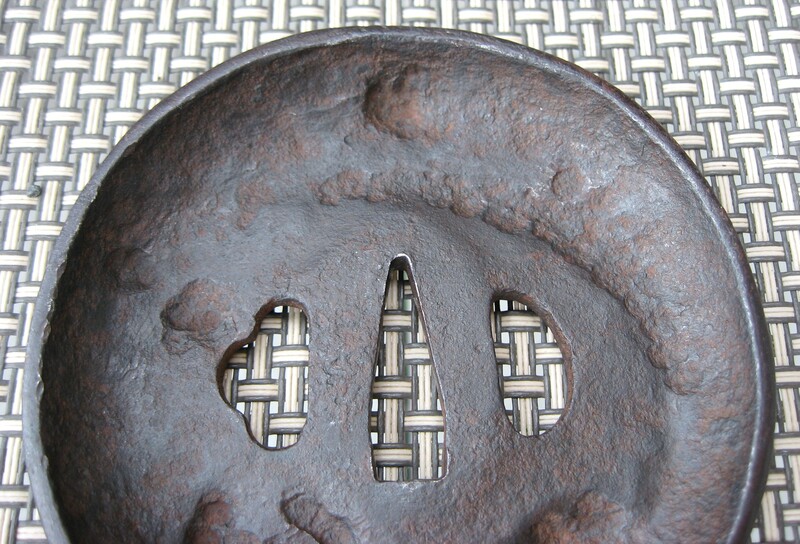 The plate is well hammered and formed in a deep cup shape. 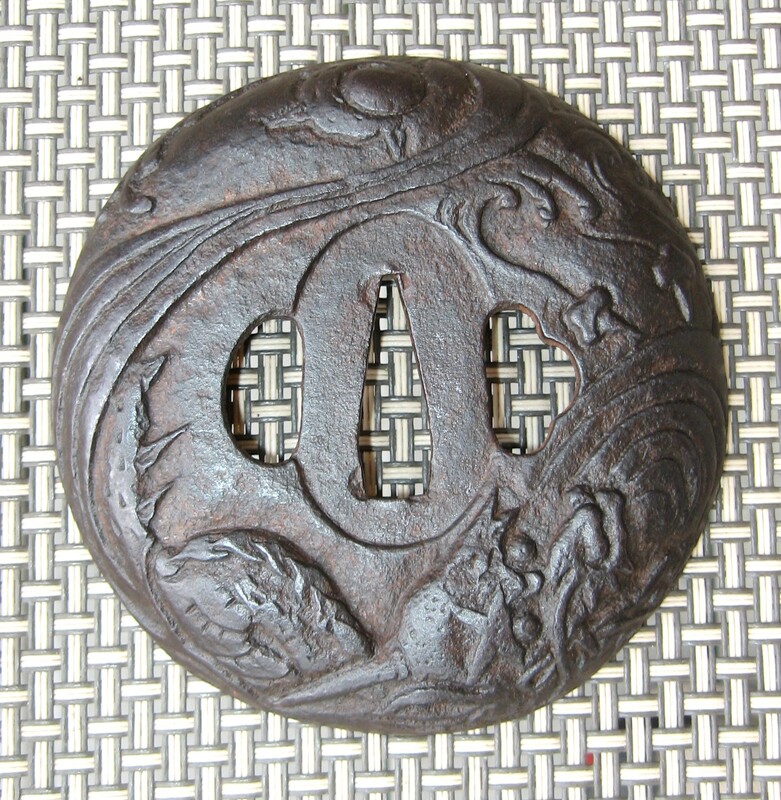 Repousse from inside to get higher relief design of a dragon in waves. 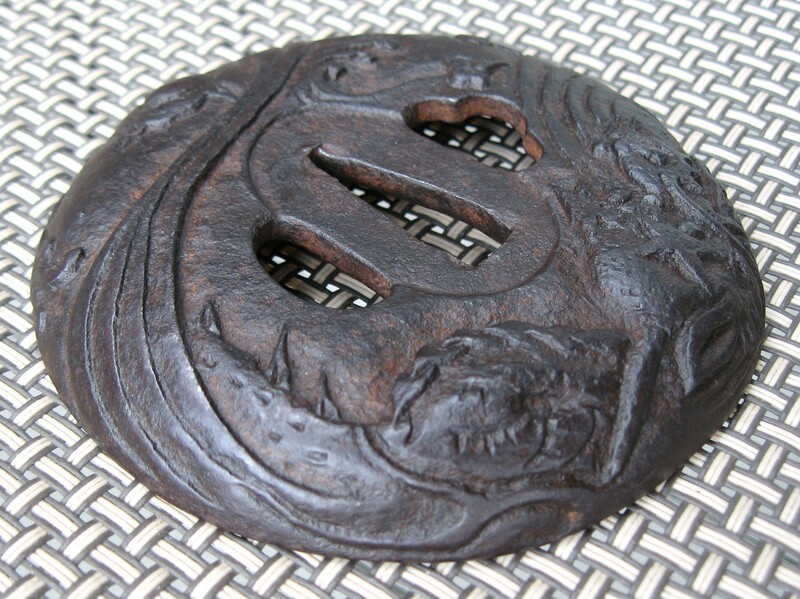 The high relief dragon is carved from the plate and is not iron on iron inlay. 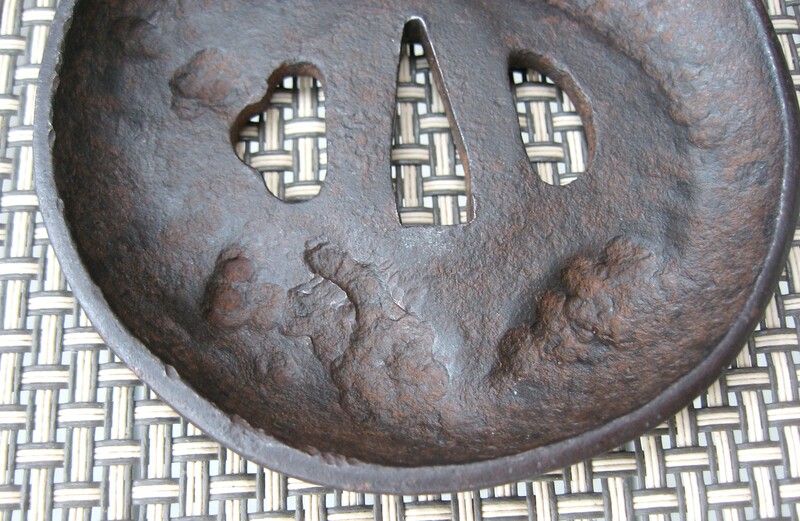 Rarely seen seppa dai recessed below the surface of the plate. 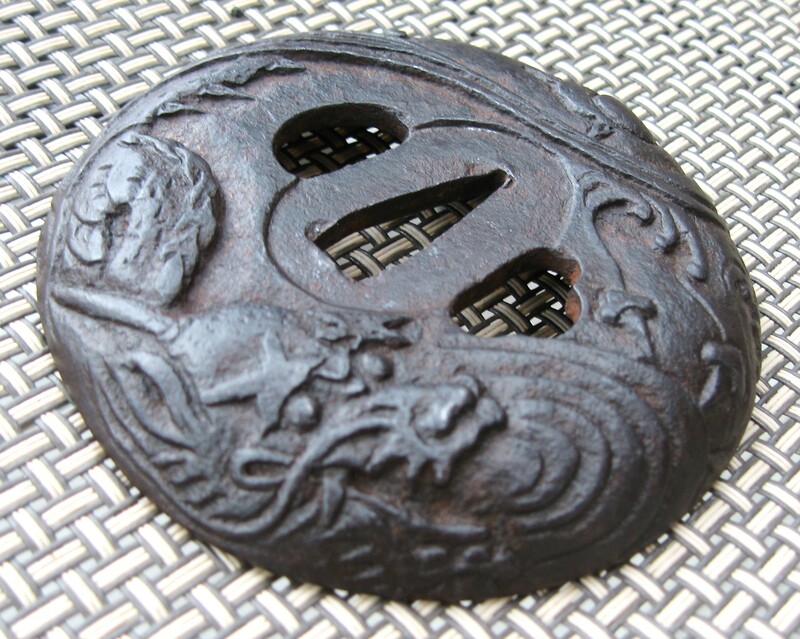 There is some mystery about this type of tsuba. Does it come from the European cup handguard shape? It might also be of Chinese or even Persian origin. 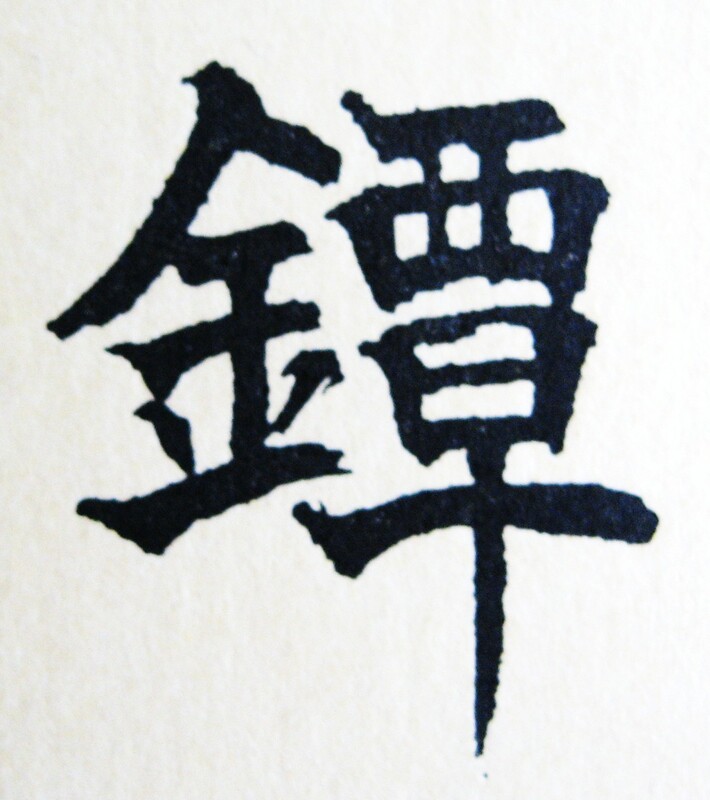 All that we can say is in all of this type produced, there does seem to be a Kyushu feeling. There is no appearance of lacquer. 8.9cm x 8.8cm x 0.7 cm deep. 0.3 - 0.6 cm thick. .